After the thaw of Winter, Spring reveals the best of Swedish food. 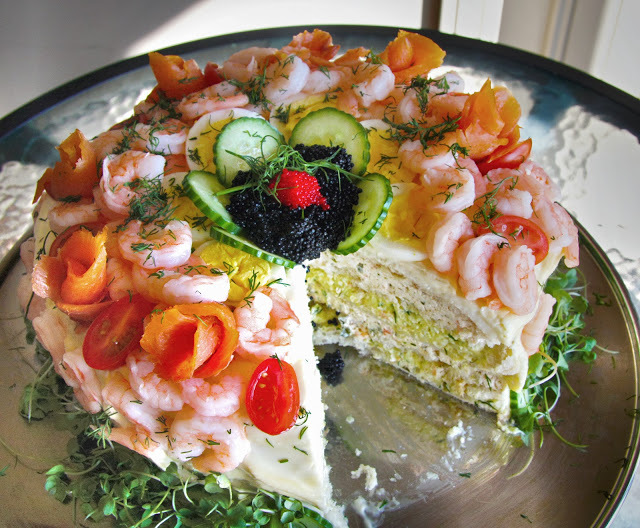 One of the most celebrated, yet little-known-outside-of-Sweden dishes is the Smörgåstårta or Sandwich Cake. 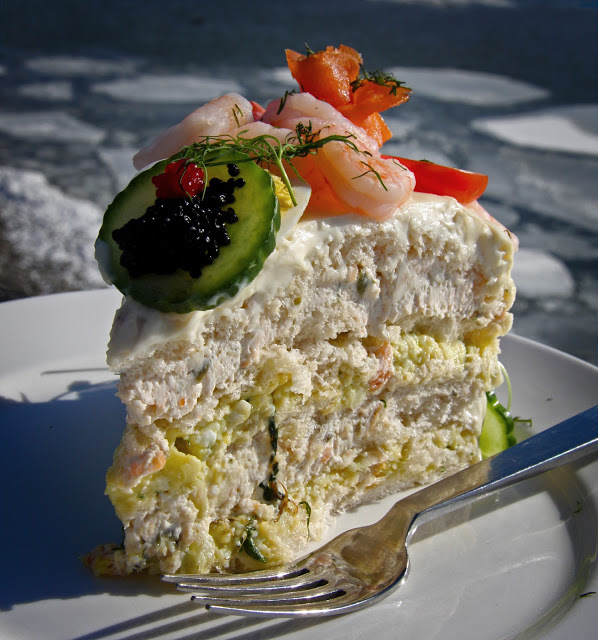 Rather than noshing on a sweet torte, you should try a savory one, and the Swedish Sandwich Cake fits the bill. They are quite simply delightful both to see and taste. 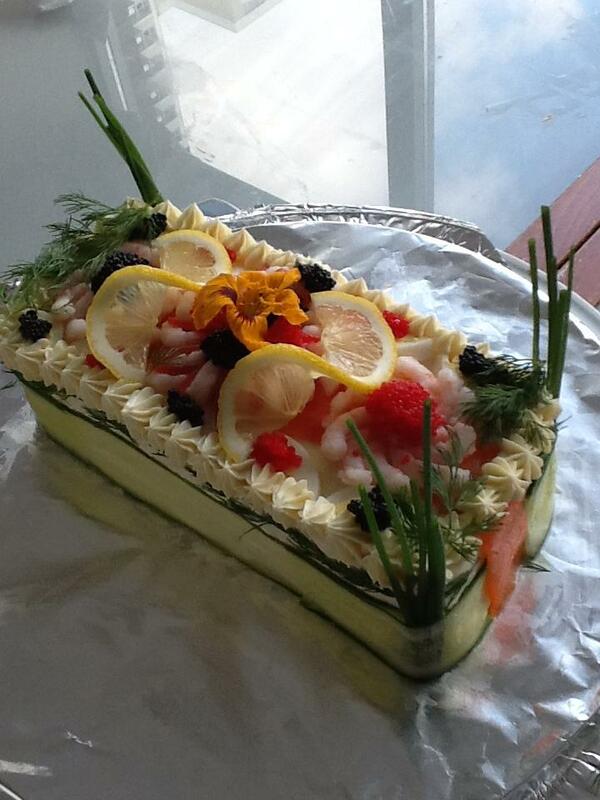 I have made a few of these Sandwich Cakes and a couple of them are pictured here. They are really fun to make! 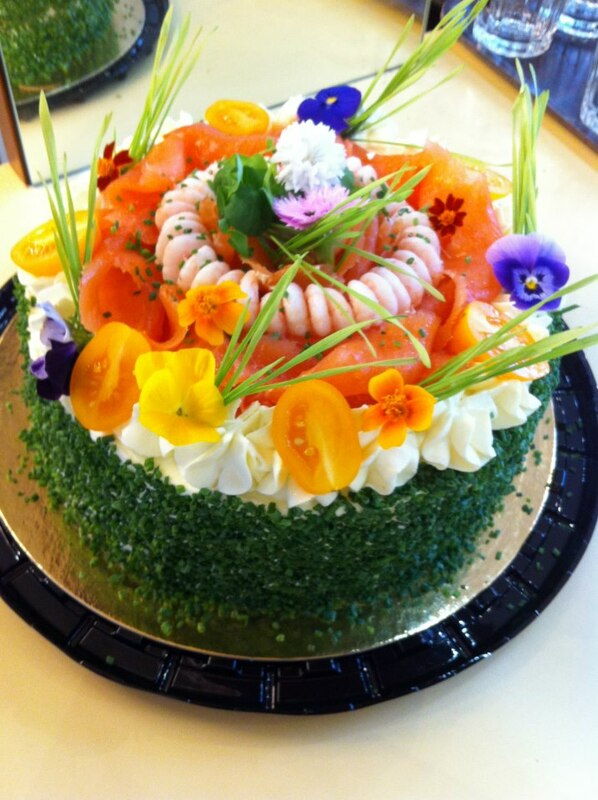 Resembling a lavish and beautifully decorated sweet cake, it is instead made up of bread and savory fillings like smoked salmon, shrimp, egg, cheese, and various meats. The “frosting” is a combination of sour cream or creme fraiche, mayonnaise and cream cheese. 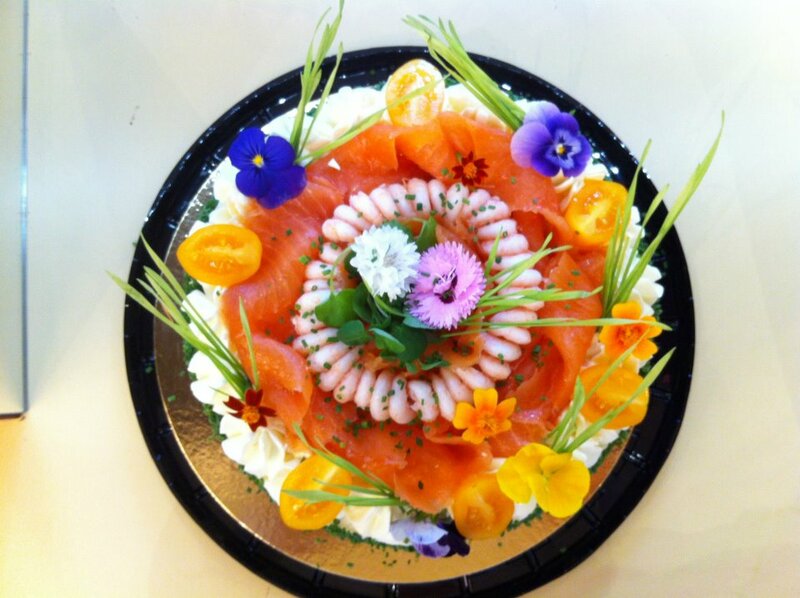 It is then decorated like a Spring bouquet with dill, chives, caviar, eggs, shrimp and even edible flowers! You can make it as fancy or as simple as you desire. There is no right or wrong recipe, as there are infinite combinations of fillings you can use. Swedes usually make their own or order the Smörgåstårta through their local komditori (bakery-pastry shop) and serve it on very special occasions such as for weddings, funerals, graduations or birthdays. It has even been used as a bribe to a Swedish police officer! Where did the smörgåstårta come from? A person named Gunnar Sjödahl from a local konditori in Östersund claimed to have invented it, but after some investigation, food historians have heard it mentioned as early as the 1940s. It became hugely popular during the 1970s but is making a comeback in Sweden during the past few years. ← From Sweden with Love – ITALOVE Performs in Toronto!